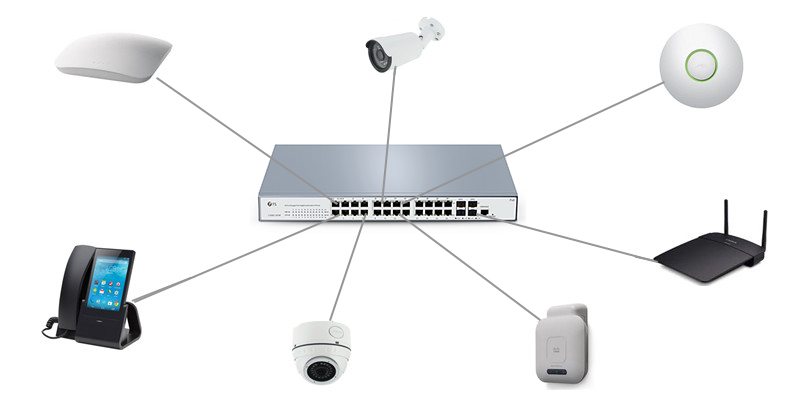 Due to the increased requirements for IP surveillance networks, the appearance of PoE switches give you an easy way to add PoE devices to the network. They are ideal for small business networks that need to inexpensively use PoE to deploy wireless access points, VoIP phones and IP cameras. 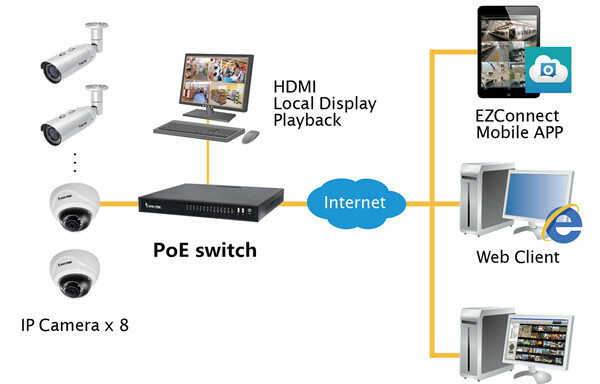 The PoE switch models are available with 4, 8, 16, 24 or 48 ports, although other variants are also available. 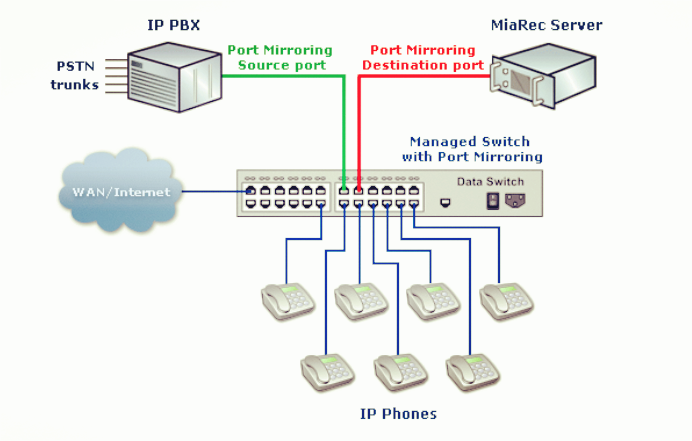 24 port PoE switch is the most prevalent variant on the market. So why your network needs a 24-port PoE switch and how can network benefit from deploying it? This article explains it in detail. Why Your Network Needs A 24-Port PoE Switch? 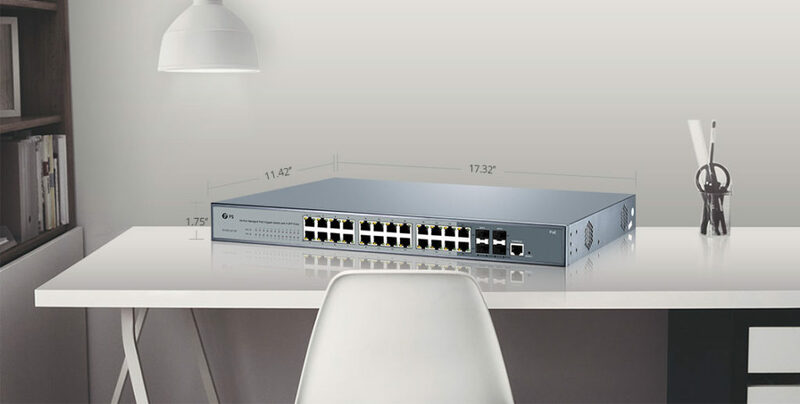 When choosing an Ethernet switch, the most important is to check whether the numbers of ports on the switch are enough to connect all your devices. The same is true when choosing PoE switch. PoE ports are flexible to connect with Cat5e cable without additional settings. 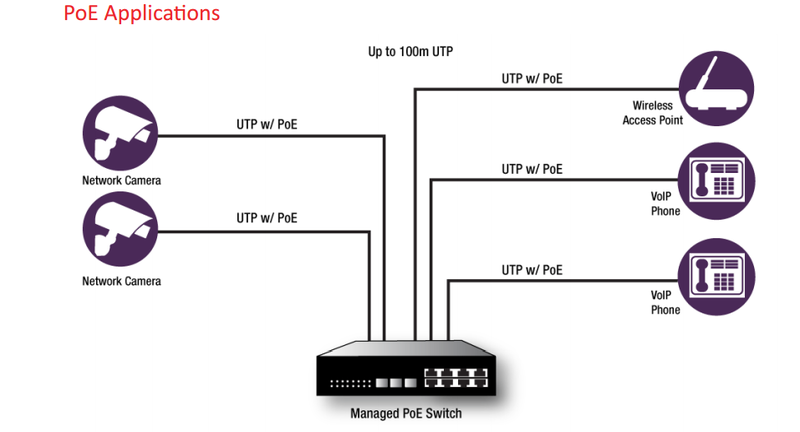 Generally, the PoE switch has the uplink ports, which allow long distance data transmission between switches. Switches without uplink ports can still be linked together but you may experience bandwidth issues with switch to switch data flow. A 24-port PoE switch fully complies to the the IEEE 802.3af standard for PoE up to 15.4W per port and the latest IEEE 802.3at standard for PoE+ up to 30W per port. On the whole, the 24-port PoE switch can greatly reduce the associated cost with smaller PoE installations in a home or small business environment. At the same time, it will allow you to expand your network to areas with no power lines. Essentially, the plug-and-play PoE switch will automatically detect whether connected devices are PoE and send power accordingly. For a 24-Port Gigabit PoE managed switch with a power budget of 360W, you need a total power per port of 30W to power an IP camera network. And you can continue to add IP cameras until you reach your budget. If you have 2 SFP ports, you can also connect to multiple switches. Keep in mind, if you exceed the power threshold and the devices aren’t getting sufficient power, they may not boot up properly. Finally, please ensure you check the power requirement for your PoE enabled device, the standard it complies to and the overall PoE budget of your installation before purchasing a 24-Port PoE switch. 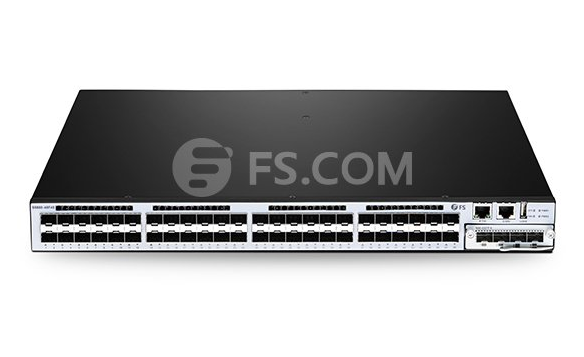 FS S1400-24T4F managed PoE switch comes with 24 10/100/1000Base-T RJ45 Ethernet ports, 1 console port, 2 combo port and 2 dedicated SFP ports for fiber uplinks. It offers network managers the advantage of connecting up to 24 power-hungry wireless access points, IP security cameras, LED lighting or VoIP endpoints to the network with a single wire for power and connectivity. With its robust PoE power budget of 400W, the S1400-24T4F switch supports denser deployment of PoE devices. This switch has 52Gbps switching capacity with 8K MAC address table, 9KB Jumbo Frame and 4MB Buffer Memory. Power supply is supportive as well, which is about 100-240V. This is a solidly built excellent switch from the firm with a data transfer rate of 1,000 Mb/s. What’s more, it offers configurable Layer 2+ network switching features like VLANs and fast Ring Protection Protocol(RSTP), which achieved real ring loop redundancy protection. It represents an ideal switching solution for even advanced SMBs or entry-level enterprise which demands industrial, surveillance, IP Phone, IP Camera or Wireless applications. All in all, the PoE switch provides security, performance, quality of services, central managed and other network control capabilities. Support PoE intelligent management system, timing of PoE power supply, power online configuration, voltage and current online monitoring etc. PoE switch is a cost-effective solution to increase the reliability and security of networks by providing centralized backup power to all connected IP surveillance devices. Before purchasing PoE switches, try to know as more details about the switch specifications as possible and also your own needs. 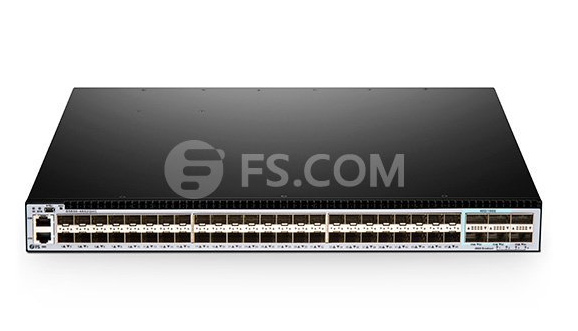 FS S1400-24T4F managed PoE switch is an affordable switch to support SMB switching needs for wireless converged networks and IP surveillance. If you prepare for growth and buy infrastructure for the long-term, you will find this 400W PoE power budget provides headroom for future expansion. In the OSI model, we know that traditional network switch operates at Layer 2 while network routers operate at Layer 3. 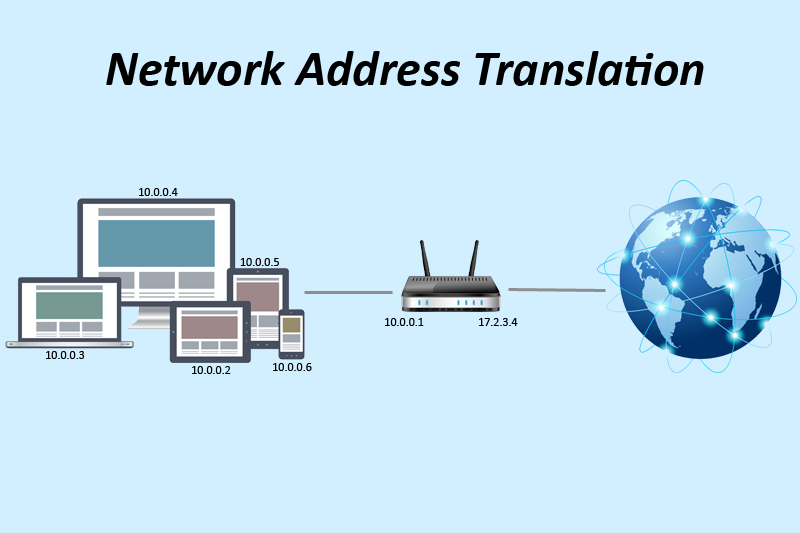 Besides, switches are understood to be forward traffic based on MAC address, while routers perform the forwarding based on IP address. Layer 3 switches have a lot in common with traditional routers: they can also support the same routing protocols, inspect incoming packets and make dynamic routing decisions based on the source and destination addresses inside. For this reason, many networking beginners are puzzled over the definition and purpose of a Layer 3 switch. 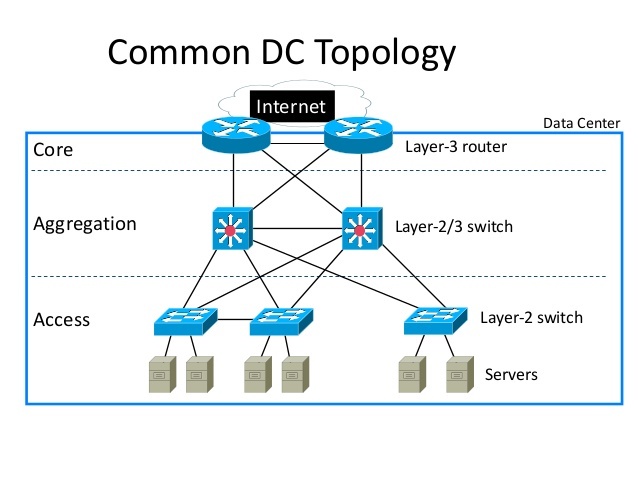 So what is on earth Layer 3 switch and what is the difference between Layer 3 switch vs. router? Layer 3 switch is also called multilayer switch. It is a specialized hardware device used in network routing, which is conceived as a technology to improve network routing performance on large local area networks (LANs) like corporate intranets. A Layer 3 switch is both a switch and a router. So Layer 3 switch is a switch that can route traffic, and a router with multiple Ethernet ports has a switching functionality. It can switch packets by checking both IP addresses and MAC addresses. On this account, Layer 3 switches separates ports into VLANs and perform the routing between them, in addition to supporting routing protocols such as RIP, OSPF and EIGRP. From the basics of Layer 3 switch, it may seem to perform the same functionality with the router. In fact, they have some key distinction facts. The key differences between Layer 3 switches and routers lay in the hardware technology used to build the unit. The hardware inside a Layer 3 switch merges that of traditional switches and routers, replacing some of a router’s software logic with hardware to offer better performance in some situations. 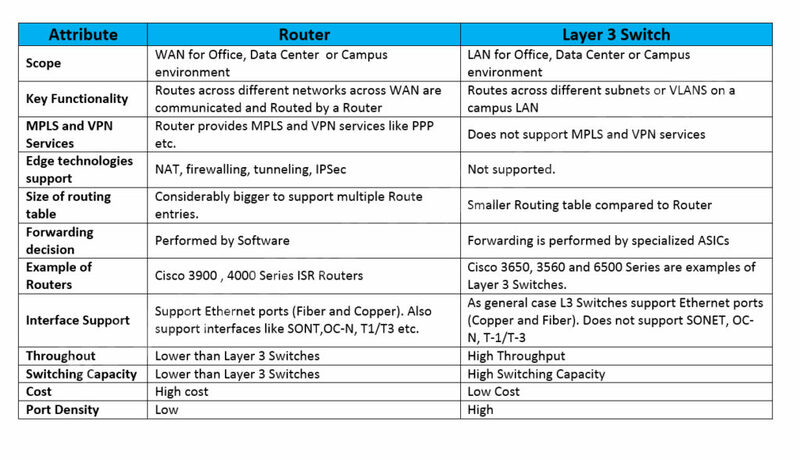 The table below illustrates the differences between Layer 3 switch and router. Cost – Layer 3 switch is much more cost effective than router for delivering high-speed inter-VLAN routing. High performance router is typically much more expensive than Layer 3 switch. Port density – Layer 3 switch has much higher port count while router has a lower port density than Layer 3 switch. Flexibility – Layer 3 switch allows you to mix and match Layer 2 and Layer 3 switching. It means that you can configure a Layer 3 switch to operate as a normal Layer 2 switch. WAN technologies support – Layer 3 switch is limited to usage over LAN environment where Inter VLAN routing can be performed. However, when it comes to working on WAN and edge technologies, Layer 3 switch lags behind. Router is the front runner in such scenario where WAN technologies such as Frame Relay or ATM need to be fostered. Hardware/Software decision making – The key difference between Layer 3 switch and router lies in the hardware technology used to making forwarding decision. Layer 3 switch uses ASICs for forwarding decisions. Conversely, the router makes forwarding decisions based on hierarchical Layer-3 addresses. As here is mentioned the VLAN, so let’s talk about it firstly. A VLAN (virtual LAN) is a logical subnetwork that can group together a collection of devices from different physical LANs. VLANs can improve the overall performance of busy networks. So they are often set up for improved traffic management by larger business computer networks. With a VLAN, traffic can be handled more efficiently by network switches. Each virtual LAN must be entered and port-mapped on the switch. Routing parameters for each VLAN interface must also be specified. Some Layer 3 switches implement DHCP support that can be used to automatically assign IP addresses to devices within a VLAN. Alternatively, an outside DHCP server can be used, or static IP addresses configured separately. 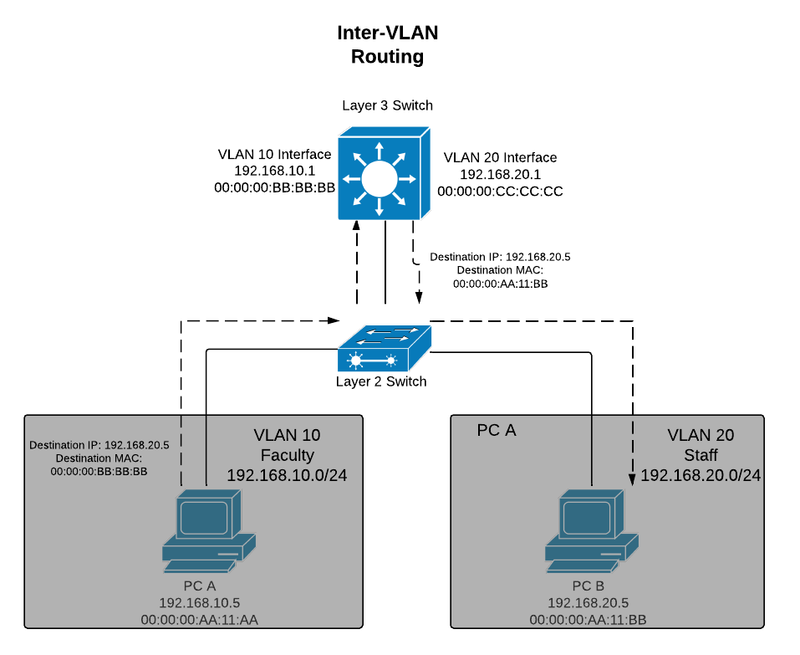 The diagram below shows an example of a layer 3 switching routing between VLANs through its two VLAN interfaces. From what we have discussed about Layer 3 switch vs. router, Layer 3 switch may be more preferable in result of its capability of routing and switching. Besides, it can perform as a top of rack device and a distributed core switching layer at the same time. This reduces the L2 complexity of the client access layer, which makes the network more reliable and easier to manage. FS.COM can provide a comprehensive, scalable and secure portfolio of switches for enterprise and service provider networks. There are also a huge stock of compatible fiber optic transceivers and cables. For more details, please visit www.fs.com. How to Choose a Suitable Wireless Access Point for Business? 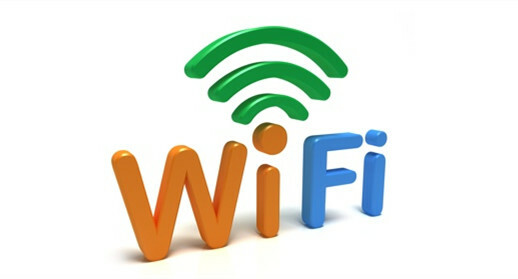 Wi-Fi technology has improved greatly in recent years. It has great impact on our life style and work habits. As an important component in this technology, wireless access points (APs) has become more prevalent than before, for they can provide a convenient way to wired networks. But it’s not one-size-fits-all, especially when it comes to businesses. They may suits large office spaces with heavy traffic, but not small offices with limited users. Of course, all situations cannot be treated as the same. Let’s take a look at how to choose a suitable wireless access point for your business. What Can a Wireless Access Point Do for Your Business? 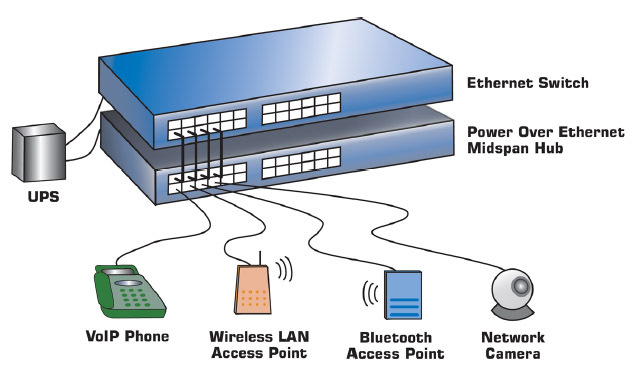 A wireless access point is a hardware device or configured node in a local area network (LAN) that connects to a wired router, switch, or hub via an Ethernet cable, and projects a Wi-Fi signal to a designated area. It can be used both in an office or a large building. As we all know, business network is not like a home Wi-Fi network. The latter one only has a limited number of devices at one time, but the former need to handle numbers of connections simultaneously. Generally, wireless access points can handle over sixty connections each at the same time. When employees or guests connecting with desktops, laptops, tablets or mobile phones, they can get access to your wired network easily and quickly. It’s not easy to select a suitable wireless access point for business networks if considering several factors. Well, it’s no doubt that the standards should be put in the first place. Therefore, I’ll talk more about other practical factors that may be ignored. As technologies are evolving so fast, it’s important to choose wireless access points that firmware upgrades. It is also beneficial if the upgrades can be done from a central access point, which automatically allocates the upgrade to other access points on the network. A wide range of wireless access points available for your business to choose from in the market. Depending on the area you’ll need to cover will be a main determining factor here. Will they be for indoor or outdoor use? Is there a need for considerable shielding for outdoor use? Before you adding the APs in your cart, these questions need to be answered at first. Wireless access points have a good working performance in a normal environment like office or mall. But we cannot exclude some extreme temperatures occur, especially in outdoor use. So have a clear view of the working temperatures with wireless access points is the key to determine how long your APs can work for you. Once you have known clearly which kind of wireless access points is suitable for your business networks, it’s time to compare the price. It’s obvious that price plays a vital role in the selection of wireless access points. According to your actual conditions to choose a suitable wireless access point. Be aware of the features that can simplify the process of installation. Except for the considerations above, other factors such as speed and mounting style also need to be taken into account. By installing access points through the workplaces, employees can roam freely from room to room without experiencing network interruptions. Their devices shift seamlessly from one access point to the next without dropping the connection through the workplaces, improving work efficiency greatly. Therefore, choosing the best wireless access points is important. A network is the foundation to connect storage, servers, printers, PCs, and wireless clients with business-critical applications to enhance productivity and customer satisfaction. And network switches are like the tires of a car. Without them, the “car” cannot work normally. No matter the large enterprises, or small and midsize business, their systems and applications are interconnected and rely on the network. Today’s post is to introduce the managed switch and why it is important for business networks. 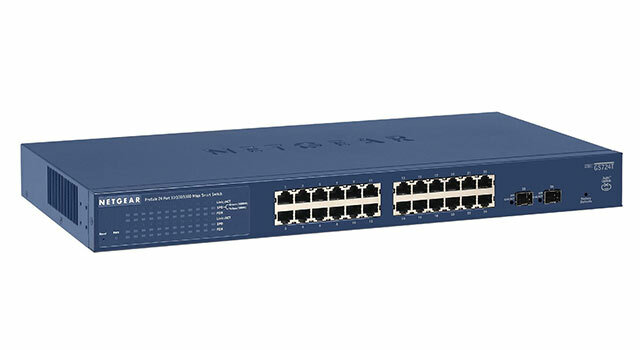 Managed switch is a type of Ethernet switch that has a fixed number of ports. It is designed to deliver the most precise control and management of networks. And they are usually deployed in large networks or as core switches in relatively smaller networks. In order to introduce the basics of a managed switch in detail, here take the 24 port PoE switch as an example (as shown in the below picture). 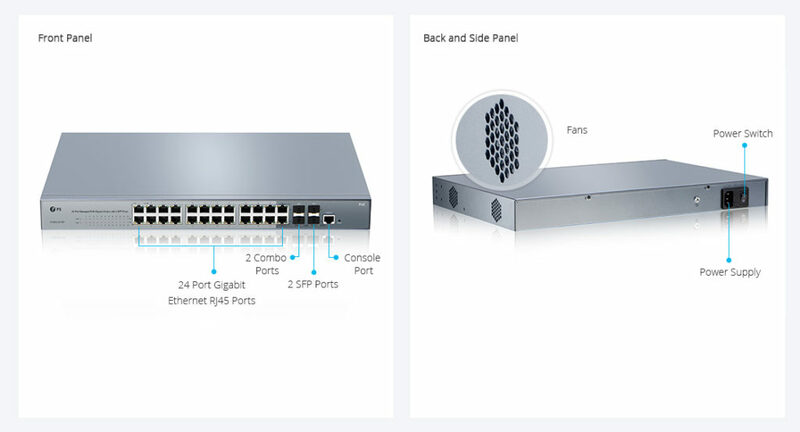 As shown in the picture, there are three types of ports on this switch: PoE port, SFP port and console port. The number of PoE ports is 24, and they can provide both power and data transmission. There are four SFP ports which include two Gigibit combo port. These ports can connect with SFP fiber transceivers to uplink to the backbone switch at a long distance location. The last kind of port is the console port which is for effective management. With a total power budget of up to 220 watts, this managed business Gigabit PoE switch provides a quick, safe and cost-effective Power over Ethernet network solution for small businesses and enterprises. People who have work experience with switches know that unmanaged switches and managed switches are two common Ethernet switches in networking. And unmanaged switches seem to be a better choice in terms of cost. Therefore, maybe many business owners would ask, compared with managed switches, unmanaged switches are more cost-effective. Why I need to choose a more expensive switches? Well, managed switches have other features which are more beneficial for your networks. SNMP is a protocol that facilitates the exchange of management information between network devices. SNMP quires also can help check the health and status of devices in a network. And data displayed in an easily understood format is good for IT managers to monitor the performance of the network from a remote location. And it also helps to repair the problems without inspecting the switches or devices personally. The function of the port monitoring feature of managed switches is to diagnose problems effectively. It copies the switch network traffic and forwards it to a single port on the same switch for analysis by a network analyzer. And problems can be found by using the analyzer on the monitor port without switching off the network. This feature of managed switches allows you to prioritize your network traffic by assigning a higher priority to the critical traffic, which is beneficial to improve network performance and transmit delay-sensitive data such as real-time voice. Apart from the features mentioned above, managed switches also have another two features that cannot be ignored. One is that switches can be used in VLAN (Virtual Local Area Network) configuration to logically group devices as per the working departments, and managed switches can be used to isolate traffic between these groups, which allows better network performance and additional level of security. Another one is redundancy that can protect the network when connection failures occur. Managed switch, especially managed PoE switches, offer great expandability for growing business networks. With business network growth on the horizon, having a clear evaluation of the network requirements is important. If you want to have some input and control over the behavior of traffic on their LAN, or if you plan to deploy advanced services such as wireless LANs or IP telephony, managed switches are a good choice to realize them. 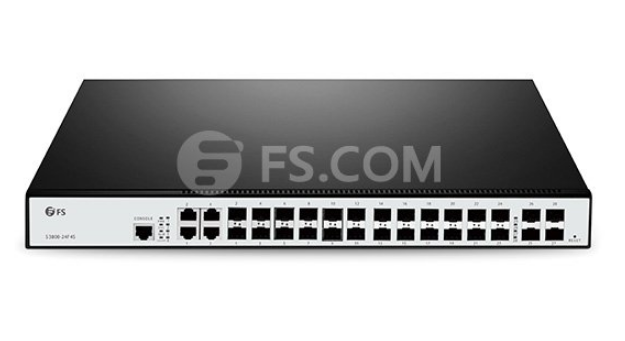 More information about managed switches, please contact us via sale@fs.com. As the traffic demand continues growing, telecom network providers have planned introducing the newly developed coherent 100G transport software in their networks to satisfy the demand. History shows us that network service providers have made use of every stage of the new channel capacity available from equipment developers. The figure below shows the timeline for increases in fiber link capacity operating provider’s networks. In early 1990s, a capacity of a few hundred Mbps per link and just on channel per strand of fiber inside a transport network was typical. As email was a new communication tool in the centre 1990s, the fiber capacity gradually increased to a couple Gbps, and this growth continued to deal with the demand that individuals needed to start accessing the web. 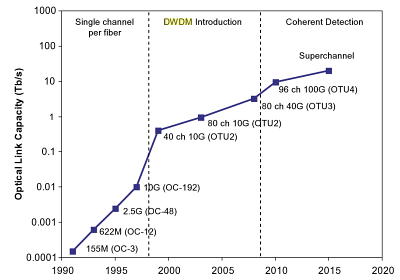 Into the later 1990s, fiber capacity grew even larger with the deployment of 10 Gbps channels and WDM techniques to multiplex and amplify a small number of wavelengths (4-8) on a single fiber pair. In early 2000s, Internet usage became commonplace but networking kept pace using the introduction of DWDM techniques that could support 40, 80, or maybe more wavelengths allowing fiber capacities to be near Tbps. For MUX/DeMUX solutions with different DWDM wavelengths, please visit Fiberstore. This extensive fiber capacity increase helped the transport network support continually increasing user demands. In the late 2000s, the introduction of 40G channels gave the capability of the networks another boost. By 2010, video sharing on the web by applications such as YouTube along with other video when needed (VoD) services started to stress existing network capacity. 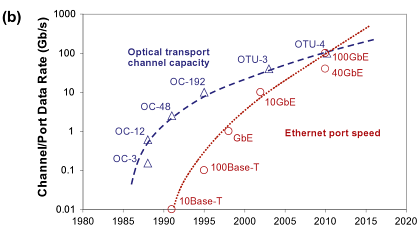 The development of the fiber capacity to approximately 10 Tbps per fiber. 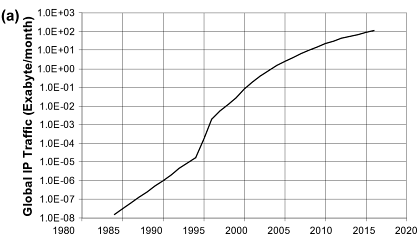 This will address near term capacity requirements, but moving forward, cloud computing along with other bandwidth hungry applications will continue to consume network resources, and new optical techniques to increase channel capacity and optical link capacity is going to be introduced progressively. The coherent 100G PM-QPSK system selected by the industry is able to run at the same channel spacing (50 GHz) like a 10G commercial system does in existing networks, and so the 100G system can offer enough capacity for network service providers to support customer demands in the near term without a network overbuild. Using the new 100G system, service providers expect the cost per bit declines in the same rate as or perhaps a faster pace than the decline rate of serves prices service providers can charge their clients, so that providers are able to remain competitive. Before telecom service providers introduce commercial coherent 100G software in their networks, normally a series of technology trials must be conducted in their existing networks to determine the performance of the new technology. The primary purpose of the technology trials would be to guarantee the 100G channel behaves well in existing fiber network infrastructures. Fiber routes within the field may have high transmission attenuation, high PMD values, multiple connections and splicing points, various fiber types, etc. While most lab experiments are conducted with fiber loop configurations, a linear configuration in field trials is much more preferred to mimic optical links in tangible networks. Field trials give network providers proper expectation for that performance of the systems, which will be installed in networks. Issues present in these trials may also be sent back somewhere developers for further product improvement. In a single field trial a 112 Gbps coherent channel transmitted over 1730 km deployed DWDM link in a service provider’s network, while using DWDM Multiplexer. A carrier suppressed RZ and differential PM-QPSK modulation format was utilized for the channel in the trial. The trial results show that the coherent 100G channel has the capacity to serve long term routes. The plug and play performance of the equipment and robustness to chromatic dispersion and PMD impairments was demonstrated in the trial. Co-propagating the 100G channel with adjacent 10 Gbps signals without touching the fiber infrastructure proved one viable migration road to next generation networks. It’s a requirement for service providers to maintain the networks scalable and cost-effective while increasing channel capacity and fiber ability to have next-gen multi-terabit networks. In another field trial a real-time, single carrier, coherent 100G PM-QPSK upgrade of the existing 10G/40G terrestrial system was demonstrated inside a service provider’s network. The field experiment shows the performance of the 100G channel sufficient for error-free operation after FEC over installed 900 km and 1800 km fiber links. The experiment proves that flexible and seamless 100 Gps channel upgrades to existing 10G and 40G DWDM systems are possible and practical. Yet another coherent 100G channel field trial was performed on dispersion shifted fiber (DSF) links. The trial involved eighty 127 Gbps channels propagating on a deployed fiber link. L-band specturn was used to avoid zero dispersion reason for specturn, differnet from using C-band for SMF or NZDSF for additional common cases. The 100G channels, with 50 GHz channel spacing, traveled over 458 km DSF successfully with L-band EDFA only. Sufficient Q-margins remained as left for the 80 channels following the 458 km transmission. This field trial demonstrated that a 10 Tbps calss capacity DWDM product is feasible underneath the condition of small local dispersion by deploying coherent detection and high overhead (20%) coding gain FEC. This trial represented the highest fiber capacity in the field at the time the trial was conducted. The reason for introducing 100G channels into transport networks is to carry large IP data traffic across IP networks, therefore, an “end-to-end” transport trial, i.e. an entire data transport trial from data equipment to data equipment, using a coherent 100G channel transmission over a long distance, is particularly meaningful to service providers. One such field trial, which involved a worldwide network company, a data equipment developer, a transport equipment developer, and a client interface developer, continues to be reported. In this trial a 112 Gbps single carrier real-time coherent PM-QPSK channel from a transponder carried native IP packet traffic over 1520 km field deployed fiber, with 100GbE router cards and 100G CFP interfaces. This trial shows the feasibility of interoperability between multi-suppliers’ equipment for 100G transport. This field trial, which fully emulated an operating near-term deployment scenario, confirmed that all key components required for deployment of 100GbE technology are maturing at the time the trial was conducted (early 2010). The detailed configuration of the trial is shown in the figure. A 10GbE test set generates 10GbE traffic for Router 1 and also the test set can be used for analyzing packet throughput too. Another router (Router 2) is used to accept a GbE signal containing a video signal using a video encoder and to send the recording signal to some video display via a video decoder following the signal transverses the trial path. Router 2 connects to Router 1 with another 10GbE link, containing the video traffic. Router 1 routes both 10GbE data streams to one of the 100GbE cards and routes back the 10GbE data streams form the other 100GbE card towards the corresponding 10GbE ports. The 100G CFP interfaces are used to connect 100GbE cards and the 100G transponder. The transmitter port of the CFP in the first 100GbE card is connected to the receiver port of the CFP in the transponder and also the receiver port of the second 100GbE card is linked to yhe transmitter port from the CFP in the transponder. The receiver port from the CFP in the first 100GbE card and also the transmitter port of the CFP in the second 100GbE card are of a fiber jumper (fiber patch cable) to shut the loop. The CFP transponder sends the 112 Gbps signal towards the fiber route-equipped having a long haul DWDM system. Both directions of the inline amplifiers have been used for the trial to save on equipment needed. With these successful 100G system field trials, telecom network providers and other network operators have been convinced that the only optical carrier PM-QPSK with coherent detections is easily the most promising 100G channel solutions, at least for the time being. Now commercial 100G systems are for sale to the customers of the equipment developers and the customers are likely to enjoy the ten times fiber capacity begin their networks.